How do eye doctors recommend lifestyle changes to their AMD patients? Home » Eye Health » How do eye doctors recommend lifestyle changes to their AMD patients? Age-related macular degeneration (AMD) is the leading cause of permanent blindness in Americans, and it occurs as a result of aging. 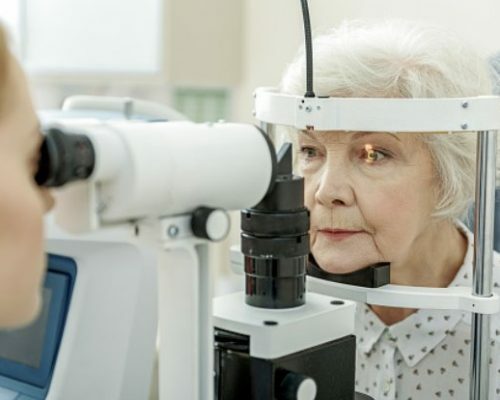 There aren’t any specific treatments or cures for AMD, but many optometrists and ophthalmologists will recommend their patients adhere to healthy lifestyle habits as a means to keeping their eyes healthy and slowing down the progression of AMD. Researchers surveyed eye doctors to rate the strength of evidence for nutritional supplements in the prevention and treatment of AMD. Furthermore, eye doctors were asked about their sources of information regarding the benefits of these supplements to vision. The cross-sectional study looked at four main areas: use of nutritional supplements, dietary advice, smoking and eye diseases, and strength of evidence and the sources of information regarding nutritional supplement interventions. Optometrists were more likely to recommend nutritional supplements and provided more advice regarding diet compared to ophthalmologists for both patients with established AMD and those who may be at risk for it. On the other hand, ophthalmologists were more likely to use evidence-based findings regarding eye diseases and studies on AMD, specifically.